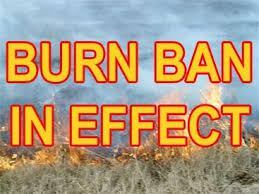 The Beaver County Board of County Commissioners have issued a Burn Ban in Beaver County for a period not to exceed 14 days. The ban states, it is unlawful for any person to set fire to any forest, grass, range, crop, or other wild lands or to build a campfire or bonfire, or to burn rubbish or other material that may cause a forest, grass, range, crop, or other wild land fire. It also states that any outdoor burning in progress must be extinguished immediately. For equipment related to road construction projects, and welding/cutting torch/grinding activities in the proper areas as defined in the burn ban. Any person found violating this burn ban shall be found guilty of a misdemeanor and fined up to $500, to imprisonment of not more than 1 year or to both, fine and imprisonment. This ban can be rescinded at any time during the 14 day period or extended by subsequent resolutions. 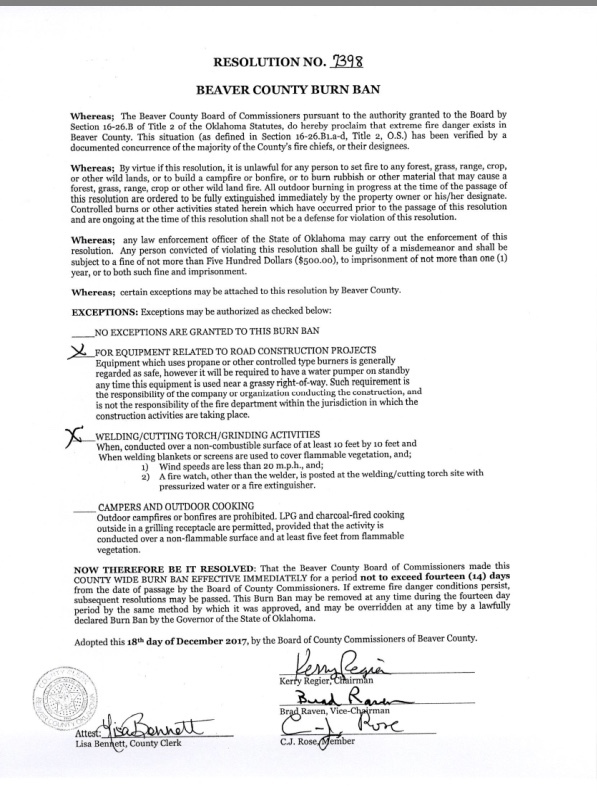 For a complete copy of the Burn Ban Resolution you can also go to KSCB/The Legend Facebook page.